Cheating and infidelity are heartbreaking, and when people find out that their spouse has strayed, it can feel like their entire world has turned upside down. After all, the person whom they have trusted and cherished has actively chosen to betray them. Despite the pain that it is sure to bring, many victims of infidelity rightfully choose to walk away from their marriage. Nobody deserves to endure this kind of betrayal from their partner, which is why many seek to start a new life once they catch wind of their partner’s actions. In these cases, we are often asked about how an affair or other acts of infidelity impacts divorce proceedings and asset/property division. 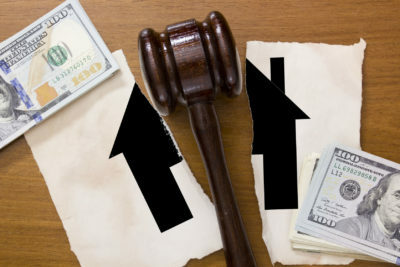 To help address some of those concerns, this post examines California’s stance on divorce, as well as ways in which infidelity could potentially impact the process of dividing assets and debts. Traditionally, those who were seeking to get married had to prove wrongdoing or misconduct on the part of their spouse in order to secure a divorce. This changed in 1969, when California became the first state to adopt “no fault” divorces. Since then, individuals have been free to pursue divorce for any reason and without cause. Since people are no longer required to explain to the courts why they want to get married, this has had on effect on how infidelity impacts divorce proceedings. These days, the courts don’t focus on misconduct such as infidelity. If you’re expecting the courts to penalize or punish your unfaithful soon-to-be ex, you might be in for a disappointment. This also applies to asset division, where in most cases, infidelity doesn’t impact the process of dividing assets and debts in California. When an individual can demonstrate that his or her partner squandered marital money away on frivolous or unnecessary things, these expenses could be subtracted from your spouse’s share of the lion. This is known as dissipation and could very well be applicable in any case where a straying partner has spent sizable amounts on gifts, vacations, and other expenses that were undertaken during the affair. Along the same lines, if your cheating partner has hidden assets in an attempt to plan his/her future life with the other person, these hidden assets are often uncovered and could impact the way in which things shake out for you and your ex. As you can see, asset and property division law in California is complicated, and there’s no simple answer when so many factors are at play. For more in-depth assistance, we invite you to contact our skilled family law attorneys at R & S Law Group, LLP. Call our office today to schedule a free initial consultation, where you can explain the details of your situation and receive the legal guidance that you need.